The NEPA PTAC held its annual Government Contracting Showcase on June 7, 2018 at Kalahari Resort & Conventions in Pocono Manor. The half day event was well attended with 21 exhibitors, including representatives from economic development, government agencies, and private businesses. The Showcase attracted over 100 attendees and was deemed to be a great resource and beneficial by those in attendance. The event opened with the Morning Keynote Speaker, Mark “Hawk” Thomas, Esq., Managing Partner, Reid Law PC, and was concluded by the Luncheon Keynote Speaker, Secretary Curt Topper of the Pennsylvania Department of General Services. 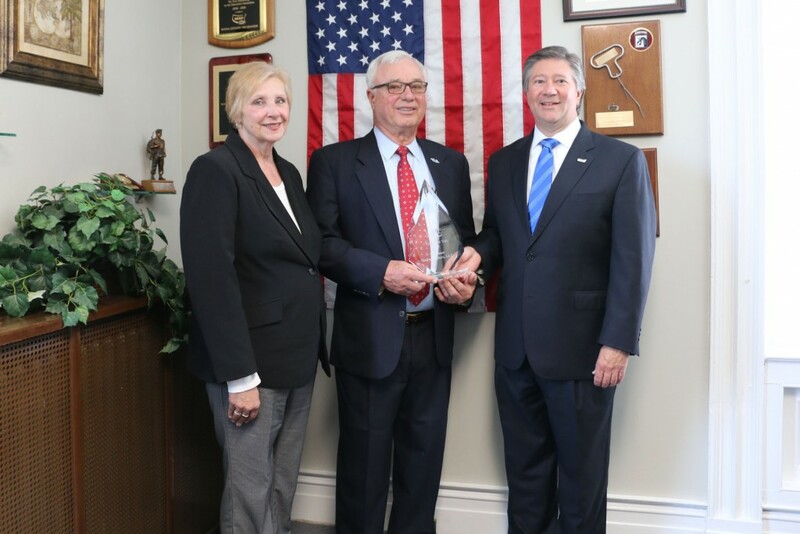 Additionally, the NEPA Alliance presented its “PTAC Client of the Year Award” to Northeast Infrastructure, LLC. Pictured from left: Karen Ostroskie, NEPA Alliance; Robert Suhosky, Northeast Infrastructure, LLC; Jeffrey Box, NEPA Alliance. The attendees learned how to conduct and market their business to federal and state agencies and prime contractors and how to sell products and services to the Commonwealth of Pennsylvania. For more information on government contracting or for personal and confidential assistance, contact Karen Ostroskie, Debbie Langan, or Paula Terpak at the NEPA Alliance Procurement Technical Assistance Center at 570-655-5581 or 866-758-1929.